The SBEC certifies proposed activities and economic development projects for consistency in the St. Louis Empowerment for HUD. If your organization needs form HUD-2990 review contact Kevin Wilson at wilsonkr@stlouissbec.org or Tara Buckner at tbucknerconsulting@gmail.com. We know that navigating the small business lending landscape can be a challenge. That’s why we’re excited to share a tool with you called Venturize. Venturize is a free online resource hub for small businesses that need help accessing responsible capital and becoming loan ready. We’re partnering with Venturize to offer you unbiased education and resources to empower you to make the best financing decision for your business. Venturize is not a lender—but a program from Small Business Majority, a nonprofit organization whose mission is to provide entrepreneurs with the education and resources they need to thrive. Small business owners can access clear, trustworthy information and tools, including a comparison of loan options, how to prepare for a loan application, a locator map of resource providers throughout the United States and everything else you need to grow your business and borrow with confidence. SBDCNet provides small business research services to the entire 1,100+ member SBDC Network of Small Business Development Centers located in all 50 states, Guam and Puerto Rico. In partnership with your SBDC, we can produce a broad range of financial, market and demographic research reports customized to your client’s industry and geographic location. In addition to supporting small business entrepreneurs, SBDCNet now offers an array of products and services to support small to mid-size community development. SBDCGlobal.com is a powerful and free online trade platform that will link the 750,000+ clients of the Small Business Development Center (SBDC) networks in the United States, Mexico, El Salvador, Belize, and Tunisia with international trade opportunities. Direct access and connections to the clients of the Brazilian Micro and Small Business Support Service (SEBRAE) Network is also made possible for SBDC Clients through SBDCGlobal.com. Whether you are a start-up company or an experienced global trader, SBDCGlobal.com can help you increase sales, lower costs, reduce risk, build trade expertise. Go to www.sbdcglobal.com for assistance with exporting. GrowthWheel® is a tool for decision-making in start-up and growth companies. It helps your SBDC business advisor and entrepreneurs get focus, set agenda, make decisions, and take action. GrowthWheel is a visual toolbox for decision-making and action planning for start-up and growth companies. It helps entrepreneurs build their businesses through a simple action-oriented process that stays true to the way most entrepreneurs think and work. 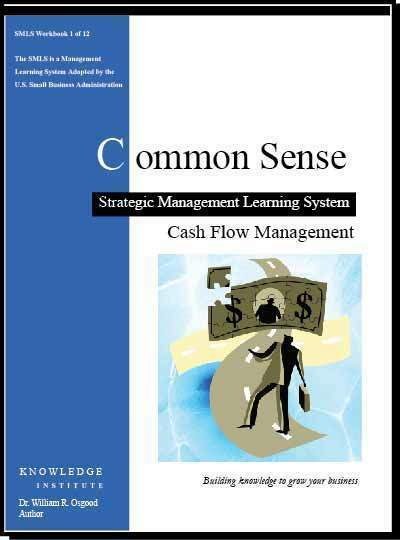 Strategic Management Learning System (SMLS) Used by business counselors, trainers, and consultants, this highly structured, facilitated process is designed to help individuals who have already launched a business, develop twelve core business management systems to support growth and long-term sustainability. Through 1-on-1 counseling or group workshops, the following business disciplines are taught, learned and demonstrated through real world application: Cash Flow, Forecasting, Management Control, Target Marketing, Time Management, Financing, Human Resources, Inventory Control, Marketing Communications, Credit Collections, Strategic Analysis, and Knowledge Management Systems! Need assistance on your HUBZone or SBA 8a application? Given the challenges to fill out the SBA HUBZone and 8a certification application, the SBEC's Technical Assistance Providers will guide you through issues such as net worth requirements, business documentation and control problems and increasing your chances of getting an 8a status by presenting information to the SBA that demonstrates your social or economic disadvantage, in order to obtain the status of a small disadvantaged business. Call today! The strategies in our Do-It-Yourself Guide have been instrumental in reaching over 25,000 affordable settlements for our clients. Now we are sharing our most closely guarded secrets with you to help you work your way out of debt on your own. 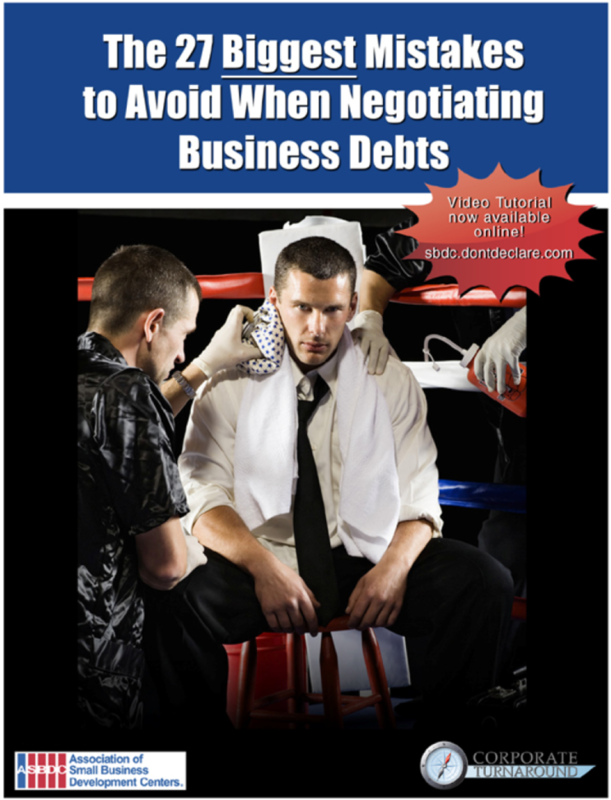 Getting your business out of debt on a limited budget requires a methodical, disciplined and patient approach. If you are willing to spend the time and effort necessary to honorably repay your creditors to the extent you are able, then this guide can help. Go through this guide completely to get a good understanding of what to expect and what to do. As new businesses grow, owners have to weigh the advantages and drawbacks of incorporating their operations. 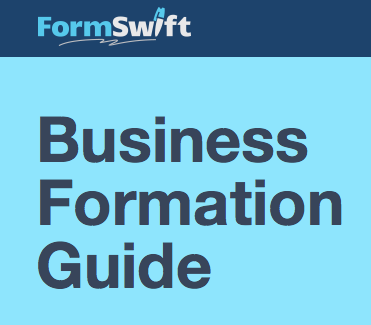 FormSwift designed this guide to help you weigh the advantages, costs and limitations of forming and incorporating your business!